Ideal for strength and balance exercises. 340mm long by 230mm by 130mm high. Made from maple dowel, 35mm birch ply ends with personalised acrylic end caps. Can be personalised with a name, club or logo. Available in choice of end colours: black, blue, pink, purple, red, white or yellow. 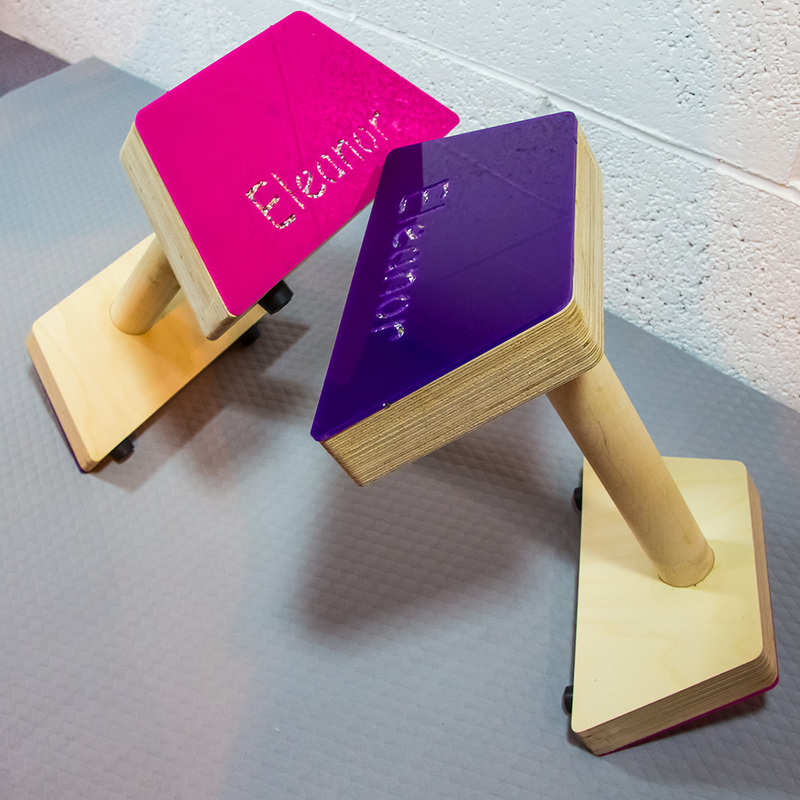 Pair of personalised Gymnastics parallettes made from maple dowel, 35mm birch ply ends with personalised acrylic end caps. Made to FIG regulation. 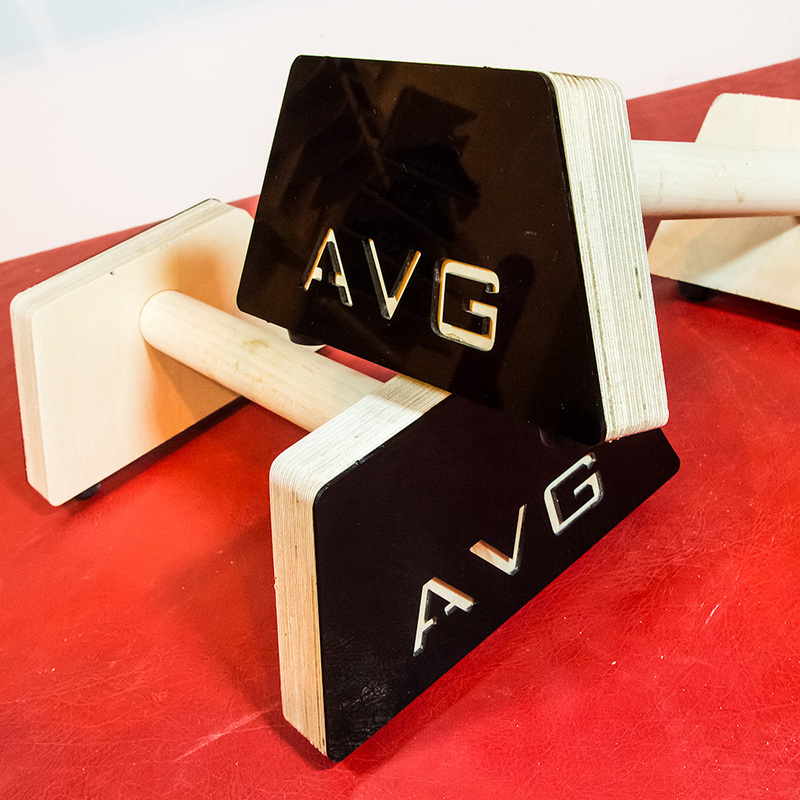 Ideal training aid for gymnasts and for general fitness.